Kunihiro was fabulous. Very knowledgeable. My last tour with Kuni (of three) and as always, a wonderful experience. Sapporo is a beautiful city and relatively new given Japan's lengthy history. Kuni has extensive knowledge about the history of Sapporo and its development. TOUR GUIDE RESPONSE: Your kind comment is very much appreciated. I really enjoyed your company. We talked a lot every day. I also learned a lot from your interesting talk. Please visit Hokkaido again. Kuni is a wonderful guide and this tour (my second of three with him) was one of my favorites. Very beautiful cities and great opportunities to try some whiskey and sake. Kuni also has a sweet tooth (but lives vicariously through his customers) so there is always a soft-serve ice-cream place nearby. Try them all, you won't be disappointed. Kuni is a great guide and is extremely knowledgeable about the areas of his tours. This is a great tour with some very picturesque views. I'd recommend this tour to anyone but I'd book it in May instead of April (still a little cold). Kuni san very helpful, knowledgable and dedicated. He knows in and out of Sapporo history, and very attentive on my request. I highly recommend him, and will choose him again if come to Sapporo in the future. Kunihiro san is an excellent guide! He is very organised and has excellent knowledge of history and activities not only of the places included in the tour but on Japan in general. He is also adaptable regarding my preferences and was able to offer interesting options. On the overall, he provided a very efficient and personalised tour! TOUR GUIDE RESPONSE: Thank you very much for giving me positive feedback and the best rating. I am glad you enjoyed the tour. I enjoyed talking with you and learned a lot from you. My family and I had a great time exploring Yoichi and Otaru thanks to Kuni-san. He was very accommodating and shared a lot of information with us. He also managed our schedule very well so we were able to visit a lot of areas without any delay. Thank you, Kuni-san! Excellent tour. He was very well organized and took care of our every request. We had a great day in the snow! TOUR GUIDE RESPONSE: Thank you for giving me the best rating and favorable feedback. I had a great day with your family. TOUR GUIDE RESPONSE: Thank you very much for your favorable comments. I would like to serve you again in the near future. How do you like the music box? Kuni - san is a wonderful guide! Very knowledgeable on Hokkaido's history and also very patient in teaching me Nihongo. He is very accommodating and thoughtful as well! Kunihiro-san is a very refined, polite, humble and accommodating tour guide. He was very patient and caring...held my 81 yo mum's hand as she walked so that she wouldn't fall and matched her pace of walking. He was very knowledgeable and experienced guide- gave informative English commentary of the places we were visiting. The Tanaka sake tour is worth visiting - you get to understand how sake is produced. Overall a great and enjoyable tour with Kunihiro-san. Definitely going to book his services again. TOUR GUIDE RESPONSE: Thank you very much for your favourable comments. It was my pleasure to help your mother to fulfil her dream to see snow and experience winter. Yes, I would like to serve your family again. Great day with knowledgeable host who will plan your time based on your personal interests! Kunihiro-San is absolutely amazing. He was so friendly and helpful my only regret was not. Booking him sooner. He was so knowledgeable of sopporo and has great English and Japanese. Highly reccomend! TOUR GUIDE RESPONSE: Thank you very much for the best rating. I am glad you enjoyed the tour. I hope to serve you again. Great tour guide and willing to help a lot. I have flight cancellation and he is very willing to help out. I have a big family of 10. Kunihiro is one of the most professional guides we have had. He worked well with us and was very patient with our delay getting started due to one of our groups getting cleared by customs late. He shared so much of his wonderful city with us and we were truly impressed with his knowledge. Kunihiro was also very helpful in teaching us how the ticket machines work for the Train, Subway and Busses. I would highly recommend him for all your tour needs. TOUR GUIDE RESPONSE: Thank you very much for giving me positive feedback. It was I who enjoyed your company and the opportunity to introduce Hokkaido. TOUR GUIDE RESPONSE: Dear Marco Asuncion san, Thank you very much for giving me the best ratings and very favorable comments on my tours. I am glad that you were satisfied with all the customized tours. I had a wonderful time with your nice family. Please come back to Hakkaido again. Thank you very much again for choosing me as your guide. Kunihiro san showed us the seaside port town of Otaru and we are on schedule. We enjoyed the day and had a great seafood lunch. We had a great time in Hokkaido because of Kunihiro san. He is an experienced guide, very accommodating and helpful. We enjoyed all our day tours with Kunihiro. We highly recommend Kunihiro san for anyone who is looking for a guide. Kunihiro-San was an excellent guide - exceptionally knowledgeable, and a wonderful host for Hokkaido. We thoroughly enjoyed our day with him. I would recommend him to all my friends and family looking for a top notch guide while exploring Hokkaido. Kunihiro-san went beyond the call of duty to make this trip very special for me. He is very knowledgeable about everything Hokkaido and extremely accomodating. No frills, very gentle person. Kunihiro San and Driver Ms Kawaguchi were the epitome of warm hospitality and professionalism during our family's tour. Despite heavy rain, they ensured we were guided carefully under umbrellas they prepared for us to wonderful sites in Biei and Furano. Kunihiro San knows the background and geographic facts of the sites well. He also lent us great assistance outside the tour. Highly recommended! Kunihiro was warm and welcoming upon first meeting him. He was very knowledgeable about Haikkaido and its history. This made the stories about the area so much more meaningful to us. And even as we became fatigued a bit near the end of the full day tour, he was very accommodating to revise the schedule. I was so impressed with his dedication and passion in his role that I would highly recommend him for anyone visiting this area and looking for a guide. Thank you. TOUR GUIDE RESPONSE: Dear Doris Leung san, Thank you very much for giving me the best rating and the very favorable feedback. I really appreciate it. I myself enjoyed talking with you. Thank you very much. TOUR GUIDE RESPONSE: Dear AuNee( Betty) Chen san, Thank you very much for your kindest feedback. I really appreciate it. This year you visited Hokkaido in spring to enjoy flowers. Thanks to you, I myself enjoyed viewing beautiful Moss phlox and tulips. See you again! Kunihiro san is another very dedicated, responsible and excellent guide. He's been my guide during my 3 visits to Hokkaido too, besides Yuko and now we've become bosom friends. He's also reliable, helpful, kind and trusted guide and friend, I've ever known. He takes pain to tailor customised an itinerary to your taste. Kunihiro is a very knowledgeable and responsive guide. He was sensitive to our pace which allowed us a short visit to the Niseko Ski Resort which was not part of our original plans that included a visit to Noboribetsu Hell Valley, Mt. Usu and Lake Toya. We even had enough time to visit places in Sapporo, including 3 attempts at bringing us to restaurants we wanted to have dinner at which were unfortunately fully booked or closed. He's very friendly and easy to talk to. TOUR GUIDE RESPONSE: Dear Sylvia san, Thank you very much for your favorable feedback. I am very glad to know you have fully enjoyed the tour. Please do come back to Hokkaido! Kunihiro-San is a fantastic guide! He made sure to accommodate all of our requests, booked a spacious jumbo taxi for us (we travelled with 6 people), his english is excellent and very informative. He is very knowledgeable about Hokkaido, and very polite. My family had a great time around Hokkaido with Kunihiro-San as our guide. Kunihiro-san is an amazing guide!!! I did something that most people don't usually do (visit Sapporo on a day trip from Tokyo). My guide already knew that my time was down to only 6 hours. In the short 6 hours, I got to see pretty much all of Sapporo that every tourist should see when they visit this beautiful city. He was able to explain to me in details of not only the Sapporo history but also the entire Hokkaido Island history. This only wants me to return to Hokkaido and have him guide me again. Kunihiro was the absolutely best! When I told him we needed an earlier meeting time, he graciously agreed; guided us thru every step of the way on our long day's journey----train, taxi, bus, walking. He was efficient as possible. AMAZING! At the Ainu Museum, he quietly interpreted the commentator's remarks, as everything was done in Japanese. He found us a small, uncrowded restaurant that made us feel like locals. Best was a walk along a secluded path that led us to a foot bath in a hot springs river. Very well read. Well managed private vehicle tour. I had a great time on this tour today. I left the itinerary to Kunihiro and I was not disappointed. He is very knowledgeable about the area and I greatly enjoyed his explanations. TOUR GUIDE RESPONSE: Dear Freek Buurman san, Thank you very much for choosing me as your guide. I also thank your very favorable feedback. It was really nice talking with you today. I'll not hesitate to recommend Kunihiro san to anyone who wishes to visit Hokkaido. He is honest, sincere and dedicated to his job. I'll definitely continue to employ his services for all my and my friends tours as he carries out his duties as a tour guide very well. Kunihiro was superb--met us at the dock, took us on the train to the whiskey distillery, lunch at a local fish restaurant where we were the only foreigners (and the food was wonderful), then visited the Herring Mansion, Corfu canal, shopping district, and saki tasting before returning to the ship. Getting through Japanese Customs took over an hour and a half which delayed us from getting off the ship. 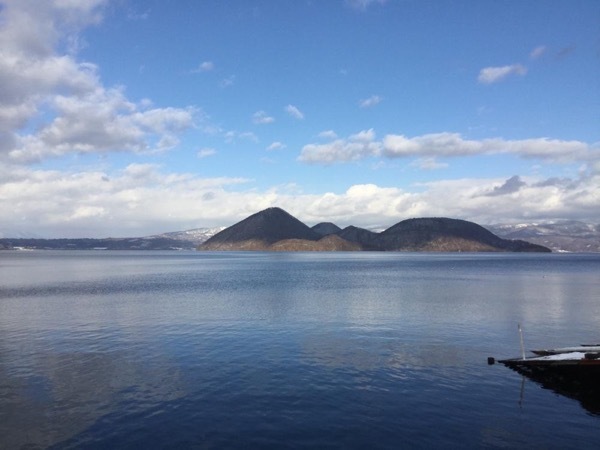 Despite losing over an hour of time before we had to return to the ship, Kunihiro was able to adjust our day an maximize what we were able to see and do in Sapporo and Otaru. And he was able to adjust our itinerary when thunder storms were encountered during the day, Only a truely skilled guide could adapt and adjust as well as Kunihiro did. An excellent day was had by our group. Our tour experience with Kunihiro was amazing. He is so knowledgeable, we learned so much from him about Hokkaido and Omari. My mom is fragile and in a wheelchair he was very considerate , accommodating and conscious of her fragile state making sure she enjoyed the experience with little issues. He took us to an amazing sushi restaurant for lunch and we went though back doors to get my mom situated and comfortable. We would definitely would hire him again and recommend him to friends back in Hawaii. TOUR GUIDE RESPONSE: Dear Amy Yew Ee Chong san, I really appreciate your rating. Thank you very much. Domo arigatou gozaimasita! Kunihiro is an energetic, engaging tour leader. My son and I enjoyed learning about the history of Sapporo, including the influence of foreign visitors, like Dr William Clark and the agricultural college. TOUR GUIDE RESPONSE: Dear Duane Clark san, I really appreciate your favorable rating and comment. Thank you very much for choosing me as your guide again. Despite the bad weather, I really enjoyed talking with you and your son about how American people contributed to the development of Hokkaido in the 1870's. Hope to see you again. TOUR GUIDE RESPONSE: Dear Jennifer Joy Ong san, Thank you very much for giving me the best rating. I really appreciate it. Domo Arigatou Gozaimasita. I do hope to see your nice family again. Otaru is a place you should visit. It is such a nice town and the music boxes there are exceptional. You should also try the ice cream in Kitakaro. We are very happy that Mr Kuni San helped us arranged everything in every way that makes our trip more fruitful and hassle free. Mr Kuni San is very helpful and friendly. You will never go wrong if you get him as your guide. Thank you Mr Kuni San for a great experience and the memories created with our family. TOUR GUIDE RESPONSE: Dear Finnela Sim san, Thank you very much for your favorable feedback. I am very glad to know you are satisfied with the tour. I myself enjoyed talking with you and learned a lot from you. Thank you very much for choosing me as your guide. Excellent! Kunihiro is an exceptional tour guide. He was very professional, knowledgeable, and flexible. We had unexpected weather but were able to see all of the sites we wanted and more due to his planning and experience. Kunihiro was an excellent tour guide. His command of the English language is great and his genuine interest in his home city of Sapporo is infectious. He is so knowledgeable in the history of Sapporo that he has just recently compiled his findings into a book and published it. I enjoyed our day tour with him. A visit to the country area surrounding Sapporo would be meaningless unless someone can explain the background and context of the features you see. Kunihiro san can do exactly that. We had fun! TOUR GUIDE RESPONSE: Dear Mi Mei Khor san, Thank you very much for showing great interest in my talk and giving me splendid feedback. I really enjoyed talking with you and your family. Please do come back again. Domo arigatou gozaimashita! Had a very enjoyable day with Kunihiro. The tour covered all the areas I had wanted to visit and more. Kunihiro also made an extra effort to accommodate my special need to visit the Mosque in Otaru for my prayers. Kunihiro is well versed, very polite and speaks good English. This was half-a-day tour but covered the remaining tour spots. Again Kunihiro went out of his way to speed up the Tour due to the distance and he drove us around in his car! Had a good lunch despite a last minute change to the plans. No regret choosing Kunihiro as a Guide, who has now become a friend. Kunihiro was very informative. He spoke very clear English making it easy to understand him. We would highly recommend Kunihiro. TOUR GUIDE RESPONSE: Thank you very much for your positive feedback. I enjoyed guiding your group. Please come back to Sapporo again to enjoy Snow Festival. Domo Arigatou Gozaimashita. WHAT A GREAT TOUR. Kunihiro was helpful from the beginning. He created a tour to our needs and was in constant contact with me prior to our tour including the days leading up to it. He ensured we had adequate time at all points of interest while making sure we stayed on bus/train schedules. He was full of knowledge both from a historical and cultural standpoint. Would strongly recommend using Kunihiro. Hopefully we can meet again. TOUR GUIDE RESPONSE: Dear Christian Van Veen, I am very glad to receive your positive comments. I really appreciate it. I myself enjoyed the tour with you. Please do visit Hokkaido again. I would like to see you again, too. We had a full day of sights in both Otaru and Sapporo. Aoyama Villa outside Otaru was a great view of Japanese craft and culture. The city museum on the canal was small but a nice short look at history, flora, and fauna of the region. Kunihiro customized our tour as we wished and was expert at getting to places efficiently. The free lookout from Sapporo City Hall is a worth including. The cost for this full day tour is very reasonable. TOUR GUIDE RESPONSE: Dear Carl Sunshine, Thank you very much for the favorable comment. I really appreciate it. I am glad that your family, especially your son enjoyed the visit to the Botanical garden in Sapporo. Please visit Hokkaido again. Our tour today was fantastic. We would give Kunihiro 5/5. He was very knowledgeable and did a wonderful job managing the four of us with two of our family group in their late 70's, one 45 year old and one 14 year old! We had a very enjoyable historical tour. We couldn't recommend him more highly. TOUR GUIDE RESPONSE: Dear Sara Brearley, Thank you very much for joining my tour to Historical Village of Hokkaido and for giving me a wonderful comment. I really enjoyed talking about the unique history of Hokkaido, because your family showed a great interest in my talk. Please come back again. It was a great day for us with nice sunny & skyblue day when we docked at Otaru and specially to be guided by Kunihiro-san, as he guided us to places as Yoichi for the Whisky, Otaru the Canal &Sushi city and Sapporo Winter Olympics'72/Odori Park/Choc Fact&Garden, with great enthusiasm and giving us a lot of interesting information using his big map with nice pictures.!! It was a pleasure meeting Kunihiro-san as our guide & definitely we would like to recommend him as your our guide when visiting Sapporo. TOUR GUIDE RESPONSE: Dear William Di, I appreciate your rating. Please do come back again in winter. We'd like to give a 5 star rating to Mr. Kunihiro. We had a wonderful experience around Hokkaido, our guide is very knowledgeable about the places we visited. He's also very nice and friendly not only to us but also to our 3 children. We will definitely go back to Hokkaido. We'd like to give a 5 star rating to Mr. Kunihiro . We had a wonderful experience around Hokkaido, our guide is very knowledgeable about the places we visited. He's also very nice and friendly not only to us but also to our 3 children. We will definitely go back to Hokkaido. Kunihiro was a very friendly knowledgeable guide and spoke English very well. Our group enjoyed our day with him immensely. TOUR GUIDE RESPONSE: Dear Cora Amburn-Lijek I appreciate your favorable feedback. Thank you very much. Please tell your mother about Sapporo. We had a great time playing in Takino Snow World. Kunihiro San was very accomodating and gave us plenty of time to play in the snow. He even taught us how to ski. My family and I learned a lot from him about the history of Hokkaido and japanese culture. TOUR GUIDE RESPONSE: I really appreciate your positive feedback. I am glad that you and your family enjoyed playing in Takino Snow World. Let’s practice skiing again in Sapporo. I had a pleasant time talking with your family about various topics. I learned a lot from your family. Thank you very much. We enjoyed our trip with our guide, Kunihiro San. He is fluent in English and knew a lot of facts about the places he toured us. He is also a photographer and told us where to get the best shots. TOUR GUIDE RESPONSE: Thank you very much for your kind review. Despite the changeable weather at Mt.Usu, I thoroughly enjoyed my day with you and your brother. I also enjoyed walking and talking with you in Toya town while waiting for our train. The customised tour and tour conducted by Kunihiro gets a 5/5 rating from us. Kunihiro San is a perfect guide with great knowledge of the area. He is also friendly, helpful and easy to talk to. He is very organised and the tours are run perfectly. We learnt so much just spending time with him. We can't say anything but good positive things about Kunihiro san. Thanks. The customised tour and tour conducted by Kunihiro gets a 5/5 rating from us. Kunihiro San is a perfect guide with great knowledge of the area. He is also friendly, helpful and easy to talk to. He is very organized and the tours are run perfectly. We learnt so much just spending time with him. We can't say anything but good positive things about Kunihiro san. Thanks. We are very happy with Mr. Kunihiro to be our guide for Otaru. He's a fantastic guide, speaks impeccable English, knowledgeable and patient. He has showed us around Otaru & it's just breath taking. Keep up your good work, Mr. Kuni & all the best to you & family. Cheers!